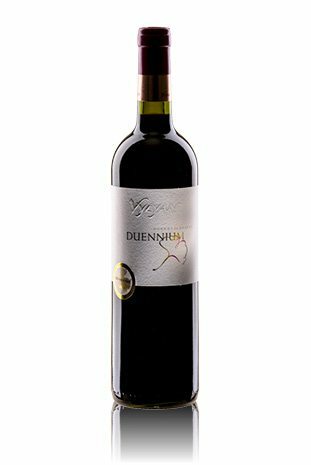 Vylyan DUENNIUM 2011 - Directly from the winery! It is a ripe and complex wine, the different varies frame a mature unity. 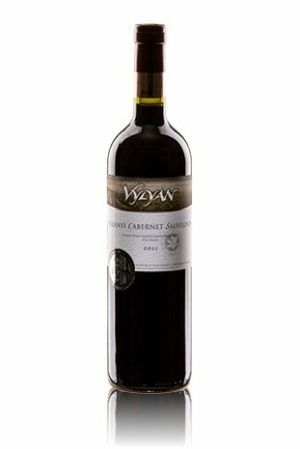 It has an explicit, upstanding and balanced structure with ripe tannins, vital acidity and velvety texture. The aromas are intense and complex with notes of ripe fruits (dark forest fruits), star anise, cedar, cinnamon and clove. Good choice with venison, joint of beef and steaks. It is also recommended with dark chocolate desserts. Average winter, followed by early blooming and varied summer. Early harvest, warm and dry autumn. The wines are intensely fruity, balanced with elegant acids and tannins. We blended our seventh Duennium from the most beautiful wines of 2009, Cabernet Franc and Merlot. We could talk long about the importance of the grapes, the vineyard exposure, the low yield and the enthusiastic work – because the secret of winemaking lies in the details. In short: the concentrated and mature grapes were macerated long (30 days on the skin for Merlot and 36 days for Cabernet Franc) and several delestage. The malolactic fermentation and maturation took place in barrels. Barrels: 225 l made out of Hungarian oak from Zemplen and Mecsek wood. Age: 50 % new and 50% 1 year old. During the 20 month aging we selected the barrels with the most character and blended these.